With Back to School upon us, many children will be spending a significantly greater amount of time in the car going to and from school. That’s what makes this a great time of year to consider a quality Geoshield Window Tint. Our Automotive line of window films will do more than just make your vehicle look great, they will also make the ride to and from school more comfortable and safe for the kids onboard. Here are 3 reasons, besides great looks, that back to school is a great time to consider Geoshield Window Tint for your vehicle. No one likes to get into a hot car and it is even worse if you are sitting in a booster seat that has been baking in the sun all day. The sun’s heat can cause vehicle interiors to become unbearably hot, and that is where window film comes in. Geoshield Window Tint can significantly reduce the heat coming through your windows and subsequently heating up the interior. This will allow the occupants of the vehicle to stay more comfortable. Even if you do not want the look of darker windows, but want this heat rejecting performance, you are in luck! Modern window film technology allows you to achieve this high heat rejecting performance even with very light films that are barely noticeable on the vehicle. In addition, window film is much safer than the removable shades that some use on the rear windows. These can become detached in an accident and act as a projectile inside the vehicle. Not only does window film stay attached to the window in an accident, it can actually serve as a safety barrier by keeping broken glass held together instead of flying through the vehicle. Whether the kids are wanting to play or read on their mobile devices or just relax, excessive glare can be an irritant. At certain times of the day or year it becomes even worse as the sun is lower in the sky. Not only can glare irritate the passengers, it can be distracting and even blindingly dangerous for the driver. Geoshield Window Tint enables you to cut the glare allowing increased occupant comfort and a better view of the road. 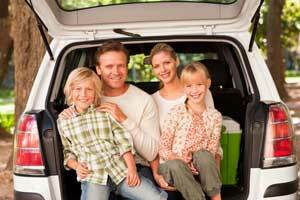 While most of us would not consider having our family spend a significant amount of time in the sun without sunscreen, we inadvertently expose our family’s skin to dangerous UV rays in our vehicle each day. We usually never consider the UV we are being exposed to in a vehicle because it’s rare to get sunburned through vehicle windows. However, harmful ultraviolet (UVA) rays that contribute to premature aging and skin cancer still pass right through the glass and your skin is exposed. Geoshield Window Tint blocks 99% of harmful UV rays from passing through the glass. For more information about how you can be vulnerable to UV exposure while traveling in your vehicle, check out this article by The Skin Cancer Foundation by clicking HERE. 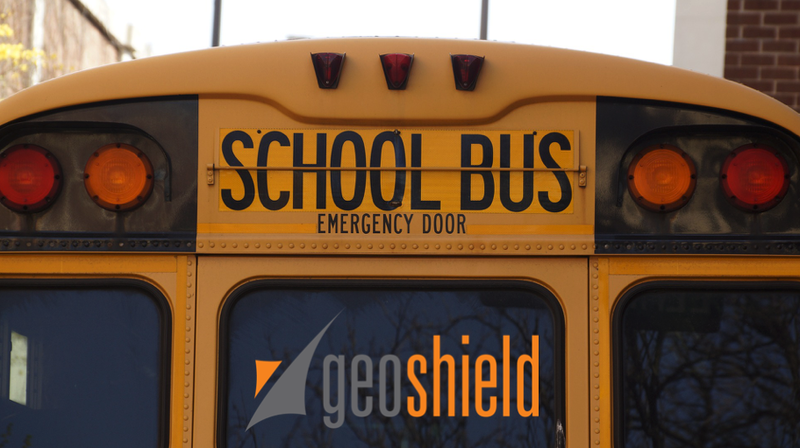 So, if you want to get your vehicle ready for Back to School with Geoshield Window Tint, please contact Geoshield by calling 800-234-6133 or emailing us at info@geoshieldusa.com. We would be happy to assist you and also give you the contact information for a local Geoshield installer in your area. You can visit our dealer locator by clicking HERE to find a Geoshield Window Film Authorized Installer in your area.